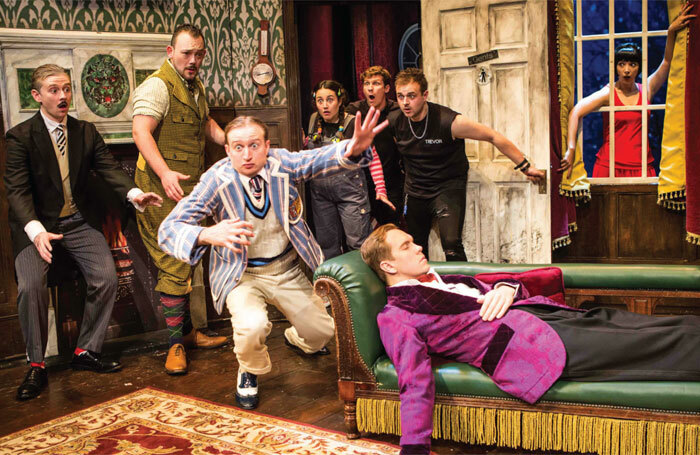 Performers behind the hit comedy show The Play That Goes Wrong are gearing up to move into television, with a sitcom for the BBC in development. The creators of the West End show, who are all part of the Mischief Theatre company, also revealed that a Broadway production of the London show is set to open early next year. Henry Lewis and Jonathan Sayer, who lead Mischief Theatre and were writers on The Play That Goes Wrong , told The Stage that the company was currently developing a number of TV projects following its success in the West End, which also includes Peter Pan Goes Wrong . Sayer said one of the projects was a family sitcom being developed for the BBC. Mischief Theatre is currently preparing to launch a new show, The Comedy About a Bank Robbery , produced by Kenny Wax, who is also behind the company’s other West End shows. He said that the plan was for the new comedy to open at the Criterion Theatre, London, prior to its cast – who were also in the original production of The Play That Goes Wrong – going to Broadway in February 2017 with the latter. Unlike Mischief’s two other West End shows, The Comedy About a Bank Robbery will not have had a run outside of London prior to its opening. Wax admitted this was riskier, but said that the complexity of the new show meant mounting a tour first was not possible.